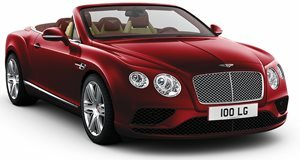 LA 2011: Bentley Continental GTC Debuts in the U.S.A. The Bentley Continental GTC has arrived in LA for its American debut. The American public has finally gotten a taste of the new Bentley Continental GTC. The British automaker has picked the 2011 Los Angeles Auto Show to debut their luxury convertible on these shores and it arrived to great acclaim. The Continental GTC is coming off a year in which it saw a 33 percent sales growth, and its biggest market is the U.S. The GTC that showed up in LA was finished in the company&apos;s &apos;Breeze&apos; color and features aluminum superformed front wings and borrows the Mulsanne&apos;s double-horseshoe design in the rear. The convertible features one of the stiffest chassis in the world and that is fitting, as it runs on a W12 engine capable of putting out 567hp and 516lb-ft of torque. Those numbers are good for a performance of 0-60mph in 4.5 seconds and a top speed of almost 200mph. It is quite amazing to see all that performance packed into a car with a luxury interior consisting of a touchscreen infotainment system, neckwarmers in the headrests, wood trim and leather. The new Bentley Continental GTC will make you "pay the cost to be the boss," as it prices at a hefty $212,800 in the U.S. market.